During a recent visit to Australia, Maria Luz Marín of Viña Casa Marín sat down with me in Melbourne for a chat before a tasting of her wines, hosted by South American wine specialists Untapped Fine Wines. Looking back to the start of Maria Luz’s career, I was interested to learn about the inspiration for the style of wine she has subsequently become famous for. “I had always wanted to make wines that were not necessarily for the market but that communicated a clear sense of place”, Maria Luz told me. 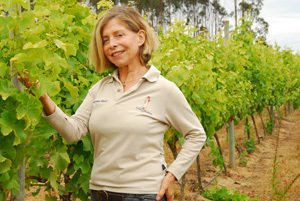 While working in the wine industry and before establishing Viña Casa Marín, she could see that although Chile produced good wines, they lacked diversity. This formed the motivation for her to create an alternate expression of Chilean wine. Her first experience of showing her wines in the U.K. embodied the challenges of taking on the international market with a Chilean wine positioned at the top end of the quality scale. Although she characterises the U.K. market as being very open to changing the perception of quality with respect to Chilean wines, it was an altogether different reaction when it came to pricing. Maria Luz set the scene for the first trade release in London, detailing a mixture of nerves and anticipation as a well-known journalist approached her table and began tasting her wines. His surprise at the quality of the wines was evident and, spurred on by this most positive of starts, Maria Luz responded to various questions around representation and pricing. It was at this point that the journalist closed his book and left. Stunned for a moment or two she hurried after him to ask why he had left so abruptly, to which he responded, “you will never, ever sell a Chilean white wine at that price point”. And so ended her first experience of selling her wine to the international market. Fast-forward and the years spent investing in the U.K., European and US markets have paid off, with attention now turning to the growing markets in Asia. 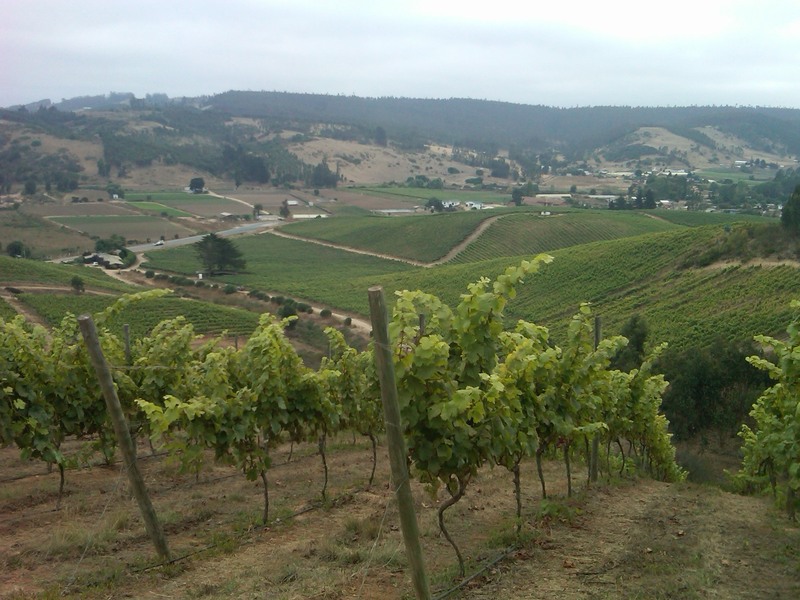 Viña Casa Marín is firmly established as an iconic Chilean producer and priced accordingly – there must be a certain satisfaction in proving early doubters wrong. Harvest is due to begin in the coming weeks and a special block on the estate has been identified for early picking to ensure the all-important acidity is retained. The sparkling wine will be produced using the traditional method with a view to release in 2018 and the release will be to both domestic and international markets. There was a palpable sense of pride as she discussed the role of mentor, telling me that approximately 40% of winemakers in Chile are female, something Maria Luz feels she has contributed to in one way or another and clearly she is not alone in thinking this. Late last year her role in the industry was recognised when she received the 2015 Premio al Merito Vitivinicola for services to the wine industry of Chile – an award she is honoured to have received, particularly as recipients are determined by industry peers. All images kindly provided by Viña Casa Marín and Untapped Fine Wines. A very appealing Riesling with 8 g/l of residual sugar showing as just a hint of sweetness on the palate which is well balanced by the hallmark crisp acidity of wines from this region. An aromatic wine with notes of green, citrus and stone fruit together in addition to a suggestion of creaminess to the texture. This followed through on the palate with the addition of some tropical fruit, chalk notes and a good finish. From first sniff to the final sip the fruit, texture and acidity were well integrated and balanced making it a pleasure to drink. This Sauvignon Blanc is from the second label Cartagena which is intended to provide a value counterpoint to the premium estate labels. It is an excellent example of Sauvignon Blanc with aromas of fresh nettles, asparagus, ripe green fruit and citrus overflowing from the glass. The wine was crisp and fresh with a pleasing texture on the palate. The aromas followed through on the palate with a burst of fresh lime on the finish. As with all of the wines tasted, everything was kept in check, creating a rather gratifying drop of Sauvignon Blanc – and at a very reasonable price too! From the estate label, the Cipreses vineyard is located on the windiest vineyard of the estate and the wine is more restrained on the nose than the Cartagena Estate Sauvignon Blanc. The fruit has ripe green (apples and gooseberry), tropical and subtle citrus fruit sitting together with the characteristic herbaceous aromas of this grape. On the palate the tropical fruit showed as passionfruit for me and the acidity was succulent and fresh, again making it a very enjoyable drop. I had not tasted a Sauvignon Gris before, and in fact there are only three producers of this grape in Chile. Known also as Sauvignon Rose for its pink skin, this grape, as one might expect is related to Sauvignon Blanc. While it shares many aromatic and flavour traits with Sauvignon Blanc I found the wine to be more restrained in both nose and palate with a focus on the textural aspects of the wine. The juice does spend a short time on skins before fermentation which will have contributed to the texture and weight I noted. The palate is fresh with lots of ripe citrus and stone fruit (peach), a hint of tropical fruit and a most enticing dose of chalkiness on the finish. This was the wine of the night for me. While I enjoy the Sauvignon Blanc from Casa Marín I was delighted by the character of this wine. The aromas are nicely woven together in an elegant fashion, showing typical blossom and spice but without the overt Turkish delight aromas often found in Gewürztraminer. In the glass orange blossom, stone fruit and spice (ginger and white pepper) could be found. On the palate the wine had a lovely delicacy about it with the aromas following through as a harmonious whole rather than separate and distinct components. An alluring wine that delivers on its promise. Another expression from the second label. This Pinot Noir delivers sweet black and red fruit, a touch of forest floor and a good dose of spice. It is very aromatic, following through on the palate to be met with fresh acidity and fine tannins. The body is light and elegant with the herbaceous raspberry and tea leaf notes providing balance to the sweet fruit notes.